Christmas Campaign, running from 17th November right up until Christmas! As a participating business, you will receive great content coverage on social media, through PR, leaflets, website and more! There will be unique sponsorship opportunities available too. Throughout the coastal district, all of our levy paying businesses are encouraged to get involved and engaged with the new Christmas campaign, helping to benefit your business and your customers, while providing a little fun! This year, the campaign ‘Express your Inner Elfie this Christmas’ is based on the theme of elves, tying in with an incentive to visit your business. 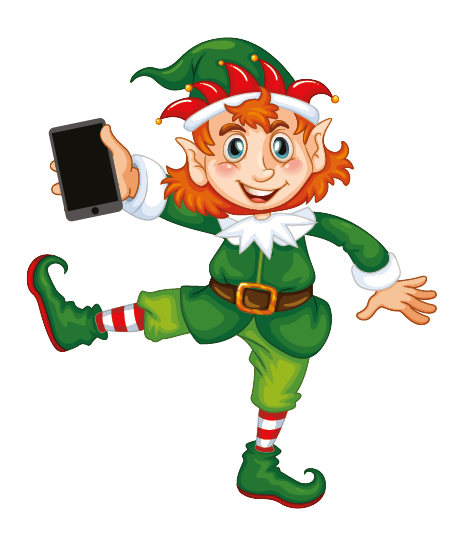 Each business involved will receive a Christmas Elfie asset pack, with everything you will need in order to be a part of the campaign. The idea will be for people to upload their ‘elfies’ onto social media while in your business, and they will then enter themselves into a competition. But, we have more exciting details to be revealed very soon! It will be a similar (but even better!) campaign structure to the Coastal BID’s 2017 Easter campaign ‘Love Bournemouth Bunnies’. We are also looking for businesses to donate prizes for the competition! If you would like to be involved please do get in touch with Annette from Coastal BID. The opportunity to be a part of the campaign will be on a first come first serve basis. The new Coastal BID Christmas 2017 leaflet is now available!